Create a true and lasting connection with your customers. Most small and medium businesses use their website as information centre which lists product descriptions, locations, opening times and other static information. However, customers today expect rich and dynamic content such as ordering, loyalty, digital wallet, customer registration and more. 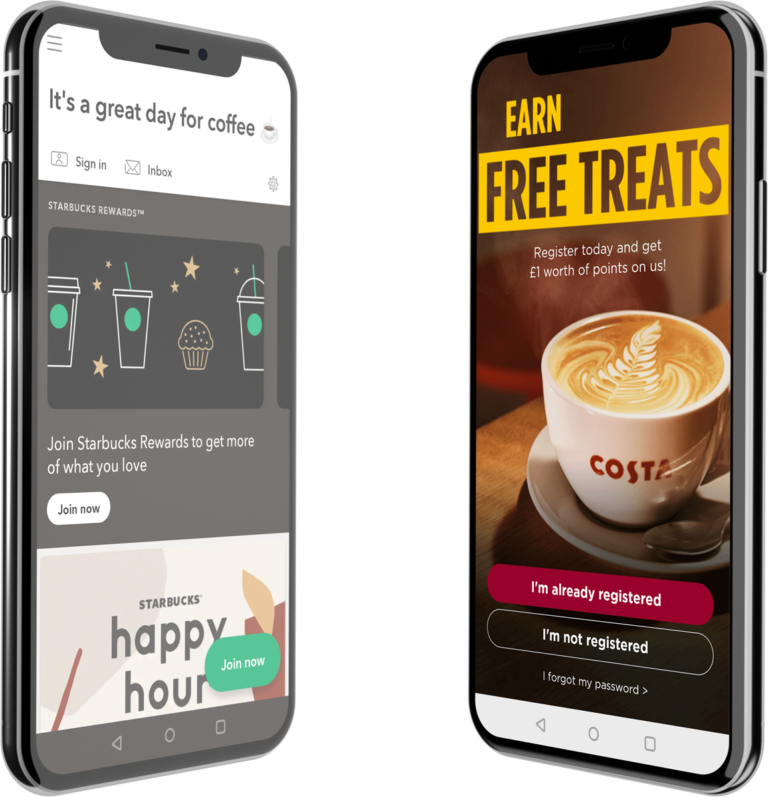 Imagine, an app similar to the Starbucks rewards app, that’s the level of experience most customers now expect. And let’s be honest, the only thing stopping every small or medium coffee shop from having their own app like Starbucks, is money. Building an app like Starbucks will cost Businesses upward of $50,000. Such costs are prohibitive for most SME's. The solution to this challenge is Progressive Web Apps (PWA), a technology that is revolutionizing the mobile app industry. PWA’s are web applications that look and feel like native apps (apps that you would download from Google or Apple app stores). They can be installed on your customers’ mobile home screen directly from your website, without visiting the app store. Think of them as web pages that offer the immersive experience of an app. They cost significantly less to build and provide the same level of functionality as you would expect from a native app. This technology offers the best of both worlds (web pages and an app) while maintaining a lower price point. Cost benefit aside, PWA’s are fast since it uses website caching, which essentially stores information such as text and images for your customers next page visit. This helps the app load faster than a regular app or a common website. Most mobile app users close an app if it does not load within 10 seconds. And having web caching is crucial especially if your customers have slow mobile internet connection or switched to a 2G network due to poor network coverage in your place of Business. 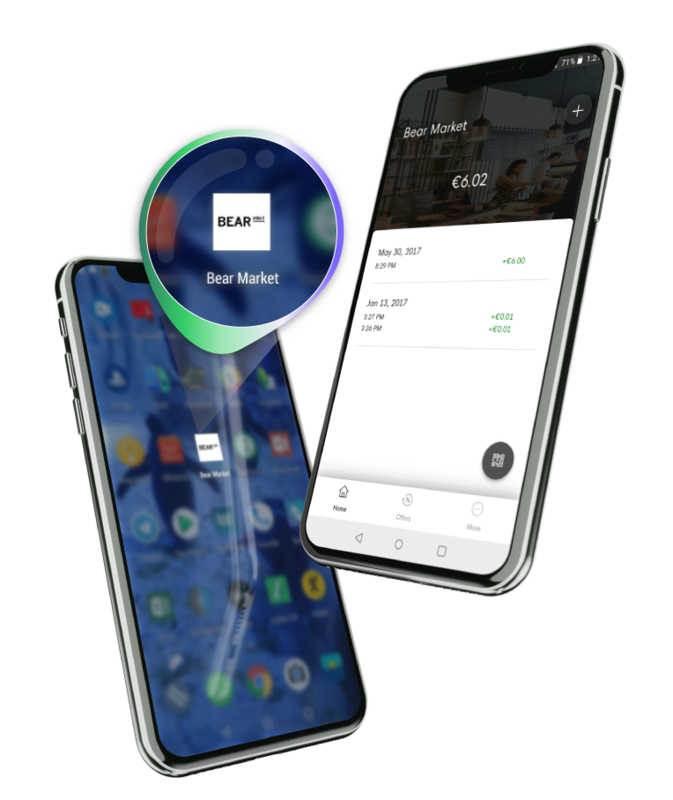 Once downloaded, the app would be visible among your customers app lists and has the all the capabilities you would expect from a native app (Camera to scan, push notifications etc). So as a Business you can scan your customers QR code, assign stamp/credit back loyalty points, accept pre-orders etc. A quick look at PWAstats shows how most Businesses experience significantly better results post release of their PWA. Trivago saw an increase of 150% downloads (ie, users who added Trivago PWA to their home screen). This increased engagement led to a 97% increase in click outs to hotel offers. Due to web caching technology in PWA’s, users who go offline while browsing can continue to access the site and 67% of these users continue to browse the site when they come back online. Twitter Lite saw a 65% increase in pages per session, 75% in Tweets, and a 20% decrease in bounce rate. Twitter Lite loads in under 3 seconds for repeat visits even on slow networks. Our clients who use PWA's designed by us have noticed significant improvements in brand association. Brand customized visuals, streamlined UI/UX and enhanced functionality with services such as loyalty, ordering, digital wallet and more has directly resulted in a better customer experience for our clients. As a Business, most of your customers would not really be interested in the technology behind your app, however they’re more interested in the physical and digital experience that you provide. Our PWA does all the technical heavy lifting while our clients’ brand, name and aesthetics stays in the front, facing their clients. All at 10% of the cost of building a native app. Interesting in learning more about how PWA's can help your Business? We’d be glad to answer any questions that you may have. Whether it’s a demo of our PWA in action or any query regarding how our PWA offering can provide a personalized experience to your customers and open new digital revenue streams for your Business, please do not hesitate to reach out to us or give us a call in our offices. LoyLap is a Fintech company specialising in Payment Initiating Service Provisions. Our solutions enable our clients to retain, understand and engage their customers, thus achieving maximum value from each customer interaction. LoyLap is a Fintech company specialising in Payment Initiating Service Provisions. Our solutions help our clients to retain, understand and engage their customers. Our mission is to streamline transactions so businesses can get on doing what they do best. © 2019 LoyLap – Cashless Payment Solutions All Rights Reserved.